Why are PSC vehicles the ideal choice for fleet customers? Providing safety, value and quality through favorable prices, PSC fleet services are aimed at companies of all sizes. We strongly believe that PSC vehicles are going to satisfy your every business transportation need and allow you to conduct better business overall. 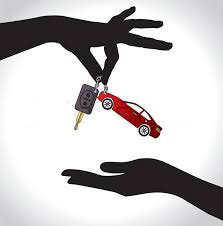 Because of the above mentioned, PSC offers long-term rent-a-car services. Long-term rent is a simple, effective and economic solution for businesses which want to use their vehicle fleet without additional worries at a fixed monthly cost. PSC Rent offers you the use of all Opel and Citroen vehicle models, in categories of 1 – 3, 3 – 6, 6 – 12 or most popularly 24 – 36 months of vehicle rent. 1 invoice, minimal documentation & hassle! Note: Max no. of vehicles is 20.